Scrivener is a wonderful program many writers use to set up and manage their books, screenplays, and research projects. Nearly every aspect of the program can be customizable, from the drafting settings to the export format. 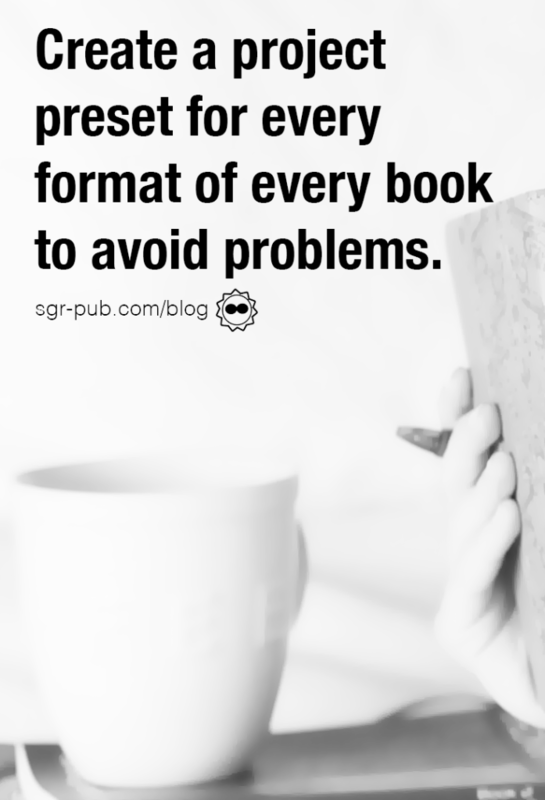 But with so many options, many authors find themselves overwhelmed. To that end, we’re posting a blog series on our favorite features of Scrivener. Today, we’re going to cover how to use compile presets in Scrivener, including some tips and tricks to set you up for success. What is a Compile Preset? 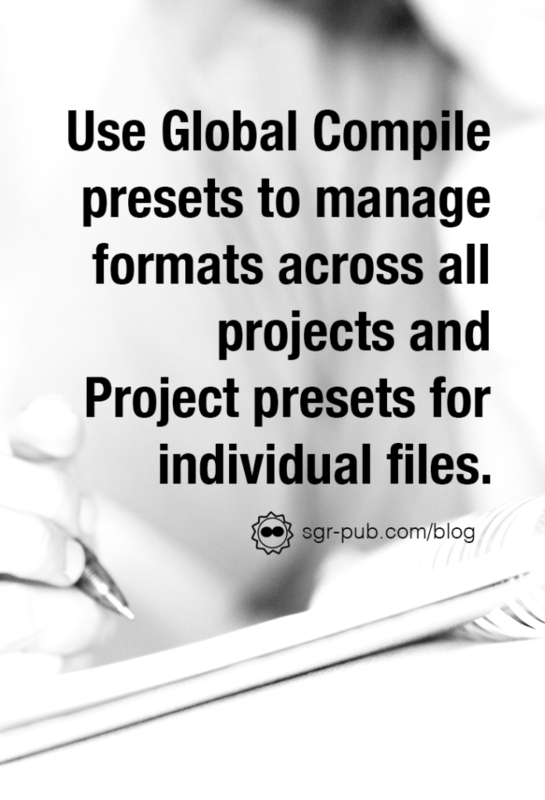 A Compile Preset is exactly what it sounds like – a pre-selected group of compile settings that you can use and reuse. In other words, you can have a setting for paperback to keep your margins and font size the same, one for hardcovers, one for Kindle, etc. There are two kinds: Project Presets and Global Presets. Project Presets are saved settings only available in a single file. We like to keep our series books in a single file, then create project presets for each format. The settings for Razia aren’t available in the Madion Trilogy, for example. Global presets, on the other hand, are available across all Scrivener projects. This is a good way to keep your general settings for paperbacks and hardcovers consistent. You can create a new project preset starting from the global preset, or keep your oft-used presets, like exporting a clean .docx to your editor. Once upon a time, we did a print run of one of our books. All was well until we opened up the first page and saw our headers showed the wrong book title. Truly. There were thirty books in that print run. Ever since then, we’ve made it a habit to create separate print settings for every book. That way, we’re absolutely sure we’re printing the right book. Also, our hardcover formatting differs (usually) from the paperback formatting, so having those separate presets is convenient. For example: when you have updates to back matter, you don’t have to spend time trying to guess what the margins were. Your books will be consistent every time. Just make sure you double check those headers.